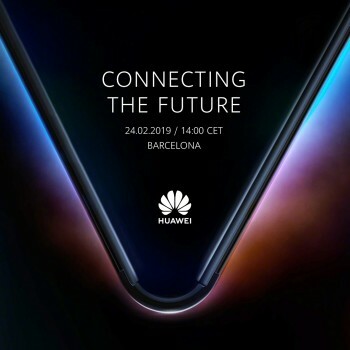 Huawei promised a foldable 5G phone for the MWC and is now backing that up with a teaser image, which sets the unveil date as February 24 at 14:00 CET. The phone will feature Huawei’s new Balong 5000 5G modem, which will be hooked up to a Kirin 980 chipset. It looks like the phone folds down the middle and keeps the screen outside. Anyway, the event announcement mentions “Internet of Everything”, so it’s likely that the company’s new 5G home router will attend too. It uses the same modem and supports HiLink, Huawei’s smart home protocol. The router features Wi-Fi 6 as the 802.11ac isn’t fast enough for 5G speeds. However, no current phone supports the new Wi-Fi standard, so we expect Huawei’s new handsets to be among the first. The smartphone market is saturated, and every brand is copying each other now. Not a big deal. I'm a consumer and prefer the vast selection of phones available now than in the past (Apple-Samsung duopoly). I need an available and fairly cheap 256GB NM card, Huawei, not a foldable phone. Unless I can't use any of your recent phones.